Alloy 625 Round Bar is a nickel-based superalloy with excellent resistance to oxidation and corrosion, in conditions ranging from jet engine propulsion systems to chemical processing of oxidizing and reducing acids. Inconel 625 Round Bar are the most used product of nickel alloys in exhaust systems. It is a non-magnetic, corrosion- and oxidation-resistant, nickel-based alloy. These Inconel 625 Welding Rod are best used in lower temperature applications where its corrosion resistance shines. 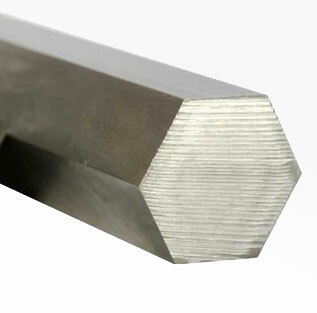 The material of Inconel 625 Hex Bar is designated as UNS N06625 and Werkstoff Number 2.4856. 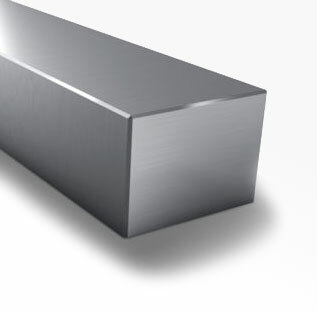 Inconel 625 Square Bar also called with specification like NA21 Bar, N06625 Rod, NACE MR 0175 Rod, ISO 15156-3 Rod, AMS 5666 Rod, ASTM B446 Rod, 2.4856 Rod, NiCr22Mo9Nb (EU) Rod. Inconel 625 Flat Bar also known with other trade name such as Inconel 625 Hex Bar are Haynes 625, Inconel 625, Nicrofer 6020, Nickelvac 625, Chronic 625, and Altemp 625, Superimphy 625, Chronin 625, Pyromet 625, Supermet 625 and Udimet 625 Bar. Looking for best price of Alloy 625 Bar in India? We have no minimum footage requirements. We will supply the exact amount of UNS N06625 Bar you require even if it’s small quantity of Inconel 625 Rod. 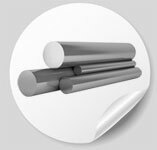 Contact Steel Tubes India- the right Inconel 625 Round Bar Suppliers In India near you. Steel Tubes India is manufacturer & stockist of Inconel 625 bars, 2.4856 Alloy 625 Bright Round Metric (BRM), 2.4856 Inconel 625 shaft bars for use in Valve Shafts, Piston Shafts, Pump Shaft, Cylinder Shafts, Boat Shafts and Bearing Bars. Inconel 625 Filler Rod have greater size accuracy, straightness, and increased tensile and yield strength, as well as improved machinability. In addition to standard 2.4856 EN 10095 bars, it can be supplied as turned and polished, turned ground and polished and drawn ground and polished in shape of Inconel 625 Grade 2 square, hexagonal and flat bars. Our custom AMS 5666 Bar & ASTM B446 UNS N06625 bars are suited for multiple applications and serve a variety of different industries. These ASTM B446 Inconel 625 Bar, ASTM B446 GR1 stepped shafts, ASTM B446 Inconel Flat Bars & SB 446 N06625 Forged Square Bars tend to be stronger than SB 446 UNS N06625 rolled bars due to the solid forged center that is provided via the forging process. Our Dealers & Distributors in Europe, Trinidad & Tobago, Singapore, Qatar, Ethiopia, United Arab Emirates, Oman, Malaysia, United Kingdom, Germany, St. Helena, South Africa, India, Nigeria, Ghana, Hong Kong, Saudi Arabia, Philippines, Kuwait, Canada, Australia, United States, New Zealand, Ireland, Pakistan, Egypt, Netherlands, Denmark, Iran, Kenya, South Korea, Iraq, Norway, Finland, Sweden, Thailand, India, Belgium, Taiwan, Greece & Indonesia arrange complete range of ASTM B446 Inconel 625 flat bar & ASTM B166 Alloy 625 Rebar in shortest time as well at best price, because we maintain ASTM B446 625 Inconel Bar in the form of Rod, Round Bar, Bright Bar, Flat Bar, Hex Bar, Square Bar, Block, Threaded Bar, Ingot, Shaft, Billet, Straight Forging and Extruded Section in stock for sale, so it saves time & cost to procure any size range in ASTM B446 Gr. 625 Black Bar stock in rounds, square and flats from any other vendor or Manufacturer of Hot Rolled Inconel 625 Round Bar in India. We also offer ASME SB446 Inconel 625 Bright Round Bar lengths are cut, straightened again and the ends are chamfered before the ASTM B446 Material is polished and tested. Our online Inconel 625 Round Bar Weight Calculator allows you to calculate an estimate of the weight of different sizes of Inconel 625 round bars, Inconel 625 Cold Drawn Round Bar, Inconel 625 Bright Round Bar or Inconel 625 Metric Bright Round Bar based on dimensions and shape. Check below table of Inconel 625 Bright Bar sizing chart which shows nominal size and provides convenient weight data. Inconel 625 Half Round Bar combines excellent mechanical properties, strength, corrosion resistance, and ease of welding. Alloy 625 Round Bars & Alloy 625 Bright Round Bars are mainly use when the highest level of accuracy and precision are needed along with a bright finish. Steel Tubes India is supplier of Alloy 625 Round Rods as Cold Drawn, Centre less Ground & Polished, Peeled, Smooth turned or Rough turned.. We are stocking distributor of Inconel 625 Peeled Bar. We offer best price of Alloy 625 Bars in India & Europe. Special price offer on Inconel 625 Rectangular Bar and Inconel 625 octagonal Bar. Alloy 625 Bright Bar, Alloy 625 Flat Bar and large diameter alloy 625 round bar are available in more than 60 types of thickness & sizes. Buy Inconel 625 Bright Ground Bar stock at best price. Compare our Alloy 625 Rod price with Inconel Alloy 625 Round Bars price in China. Inconel 625 Round bar is exactly as it sounds; a long, cylindrical metal bar. 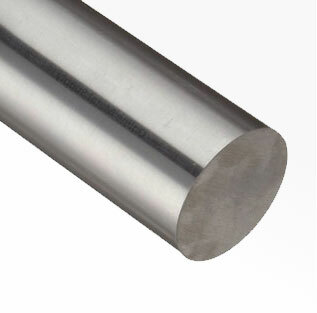 Inconel 625 Round bar is available in many different diameters ranging from 1/4" up to 24". Inconel 625 Precision ground bar is manufactured through induction hardening. Induction hardening is a non-contact heating process which uses electromagnetic induction to produce the required heat. Inconel 625 Centerless ground bar is typically produced by turning and grinding the surface to a specified size. Inconel 625 Precision Ground Bar, also known as ‘Turned Ground and Polished’ shafting, refers to round bars made with fine precision and high-quality steel. They are polished to ensure flawless and perfectly straight surfaces. The manufacturing process is designed for extremely close tolerances for surface finish, roundness, hardness, and straightness which ensures a long service life with reduced maintenance. Inconel 625 round bar price in India is Rs. 1725/kilogram. This would mean that in the UK, Inconel 625 Bar Stock would be available at around 19.44 Pounds. This does not mean that the price of UNS N06625 Bar would be the same in countries like Europe, China, USA, UK, Japan, Singapore, etc. It is very important to note that the price of Inconel 625 Rod is never a constant and it keeps changing from time to time. Also, if Inconel 625 Threaded Rod is available at a certain price in the UK, it might be obtained at a cost that is 30% less in India. On the other hand, AMS 5666 Bar could cost 5% higher in India, than what it costs in China. Inconel 625 rod applications are many and some of them include their use in specialized seawater equipment, engine thrust-reverser systems, seawater components, aircraft ducting systems, turbine shroud rings, jet engine exhausts systems, fabrication with ASTM B446 GR1 Bar, flare stacks, chemical process equipment, etc. The Chemical Composition of Inconel 625 Grade 2 Bar is Nickel 58.0 min., Niobium (plus Tantalum) 3.15 min.-4.15 max., Phosphorus 0.015, Carbon 0.10, Manganese 0.50, Chromium 20.0 min.-23.0 max., Sulfur 0.015, Aluminum 0.40, Silicon 0.50, Molybdenum 8.0 min.-10.0 max., Iron 5.0, Titanium 0.40 and Cobalt (if determined) 1.0. The Density of Inconel 625 is 8.44 g/cm3 (0.305 lbs/in3).